Alternate case for the Neo1973, with rear-mounted camera module. A flexible phone is desired that meets most users needs. Camera module should be easily installed or removed (and left in the car) for people that are unable to take cameras into work. A strong LED could be used as a close range flash. An ambient light sensor could automatically control this function. This could also be used as a torch. Neo1973 Art of Illusion 3D Model - Not fully accurate, just an artistic concept. 1 Camera for video conferences. Aluminum top front of case cover could allow 1" x 32tpi lens mount hole (3.8mm threaded down from surface) made directly into cover. At least 3 Mpx, autofocus! Leave your nickname here if you are interested in having one made. This is not an order form, but is intended to gauge interest before effort is expended designing the case. Mikesd -- Needs to swivel or at very least have a self portrait mirror. FLASH and VIDEO mandatory. solid -- A camera is the only thing I am waiting on to buy this phone. [UPDATE]I posted this comment several months ago. My first generation razr is gimping along. The exterior screen is completely busted and the lcd looks like a purple blob. I am holding off on buying a new phone until I can get a smart phone that replaces all the personal gadgets I have to carry. I need a phone that is a personal music player,a camera and a phone. Having a phone that is deficient in any of the above functions makes it less than smart. I am running out of time. My phone is in worst shape every day. Please just tell us there is a camera in the works, Otherwise I will be buying a non-linux smart phone. bob127 -- 3MP would be really nice, I'm also a developer for a phone-related company, I could recommend this phone if it has a camera. dyous87 --A camera would make this the perfect phone for me and I would surely buy it. Jackcday -- I think it needs a camera, would be great if it could have a very high MPX camera with good software so you could use it as a proper camera. Merire I really want this phone, but I'm not gonna buy one if I can't get a cam. massoo -- A Camera integrated is really cool which will enable to have unified personal gizmo. calavicci Like others, a camera is all I need to buy the phone. methril It's an usefull extra feature. Treviño A phone doesn't need a camera, but it could be useful to grab fun moments! Daverix My mobile is the only thing a use to take pictures! Oisin Mulvihill I second the 3MP camera and gps so you could geo-tag where the pictures are which is very handy when you want to get back to an interesting place you've come across. dborba 3MP would be ideal. gumpish -- A camera is the only thing I am waiting on to buy this phone. Every day I pray for the sanity of the development team and that they will realize that any phone that costs over $100USD and doesn't have a camera is worse than useless! Yogiz -- I'll but GTA02 even without the camera but a good 2mpx+ camera would in my opinion add a lot. I'd like to use it for example to photograph A4 documents in high contrast and feed the pictures to tesseract OCR. It would also be good for use in tandem with gps to add pictures to openstreetmap. Of course sometimes you just need to take a quick picture. Weber Perdigão Macedo*I am interested. I have experience with embedded computer vision programming, and I can help on it. Feel free to contact me. Pedro Silva Camera is a must, 3MP or more. Maybe two cameras, most 3G mobile phones have one high resolution camera for photos/video and another VGA camera for video call. LorekThe camera is the only thing that is missing in this phone. DeweyThis is a great idea! If designed properly, this could be a higher quality camera than most integrated phone cameras. If you leave it in the car, then you will have a camera that you can use in case of an accident. Being detachable, it would be perfect for when camera phones are not allowed when visiting companies on business. Theocrite Sounds good. It might be really easier to have pictures associated with contacts on the phone (without using a computer every time). Also it's a good thing to have a camera with you when you didn't expect to have something that needs a camera. I'm worried about the place it might take though. On the picture shown above it seems big. Even if it's removable, it might be something harder to carry. vandykee Is anyone taking the lead on this? Are there any resources around for something like this that we can put together? Have much to add to this discussion. will be back often. jordan would buy a bunch of these in a heartbeat if they had cameras. very interested in this device (or the freerunner) for wearable computing device research, but need a camera, or at least good webcam support. remd Same as Solid. I just trashed my w960 phone, and I would buy an openmoko phone right now if it had a camera. So Im sticking to my old w800 for now, and wait a little, but I'll have to get a new phone soon. The main things I use my phone for is calling, music listening(mp3+radio), wifi and email/web browsing, calendar, and the camera. And I use the "on flight" mode often, I can browse my mails locally, look at my pictures, see or edit pdf, xls, doc files and mainly listen to music on the plane. nebulo If Openmoko FreeRunner would include a camera with at least 2MP I would buy one instantly and throw away my SE P1i. I love the idea behind Openmoko and except for the missing camera and 3G (which is not a critical issue) the OM FreeRunner seems to be my dream-mobilephone. MiraThe camera is the only thing that is missing in this phone. GoJianCamera is really important for a phone actually--i use it so often. Polk1986 I am thinking about buying an OpenMoko, and would love to have a barcode scanning application like the G1 or iPhone. Unfortunately, there isn't a phone right now. I would be willing to help with mechanical design, but am unsure I have the appropriate coding ability to interface the camera with the rest of the phone. Steffen Cannot sell the phone to myself (or to family) without the camera, just don't skip any of its other features becaues of a camera being added, which are also important. If the camera is plugable, then consider to make that plug future-proof, i.e. allow for higher resolutions and various adapters over time. Please discuss to have a second camera attached or attachable. 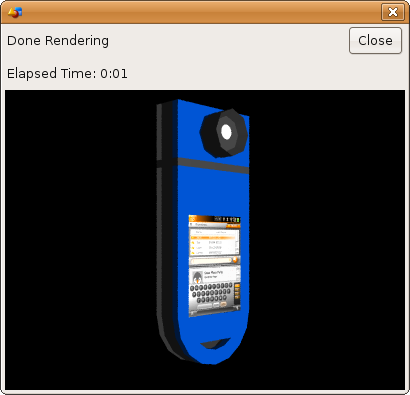 This will help with 3D vision and an improved coding of a depth of field into the image. Joe Like so many have said before - I would buy this phone if it had a camera. The possibilities are endless, and you are going to have a lot of consumers for whom a camera is a must-have on a phone. CedarCreekSoftware With a camera many interesting development possibilities open up. For example, with a camera I can read barcodes - now I have a device to take inventory with. Or if I work in a resturant, I snap the barcode on the table, then take the table's order, the order is wirelessly transmitted back to the kitchen. Once the order is complete, my 'phone' dings, and the display shows the table whose order is ready. matijja Good idea, but it must be better design. Tomppeli I agree with matijja and now I do think that phone should have a camera. I would like to know is there any progress in this project? This page was last modified on 25 July 2009, at 18:39. This page has been accessed 94,371 times.